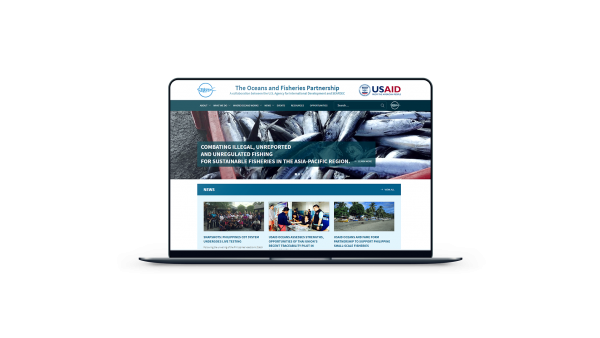 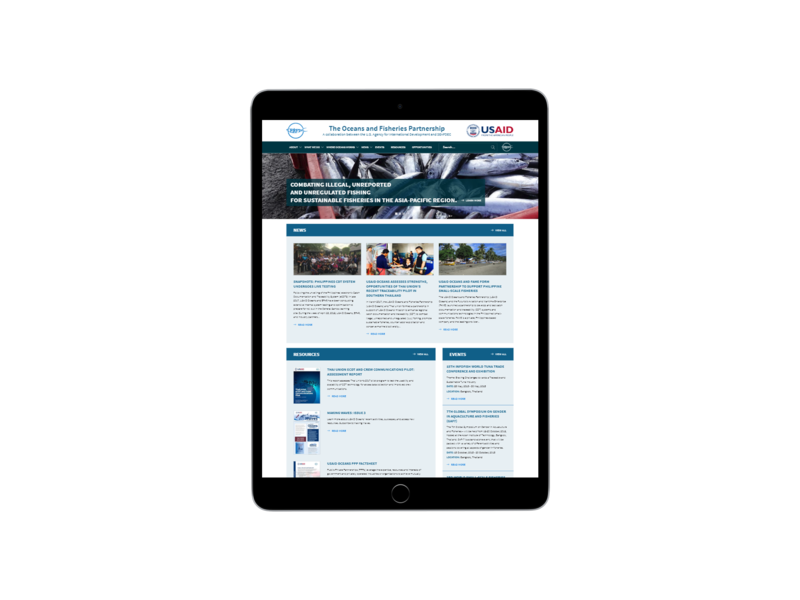 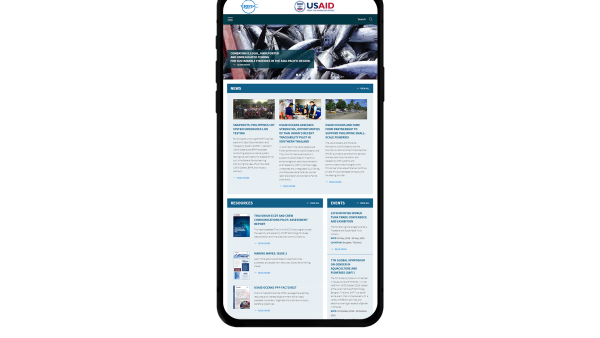 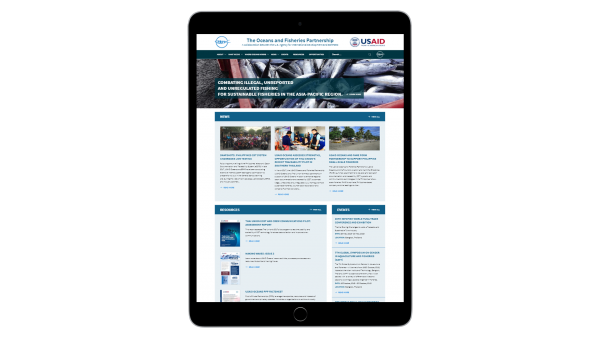 Funded by USAID, The Oceans and Fisheries Partnership (USAID Oceans) works in partnership with the Southeast Asian Fisheries Development Center (SEAFDEC), the Coral Reefs, Fisheries, and Food Security (CTI-CFF) and other public and private sector partners. It is the goal of The Oceans and Fisheries Partnership (USAID Oceans) to combat IUU fishing, promote sustainable fisheries and conserve marine biodiversity in the Asia-Pacific region. 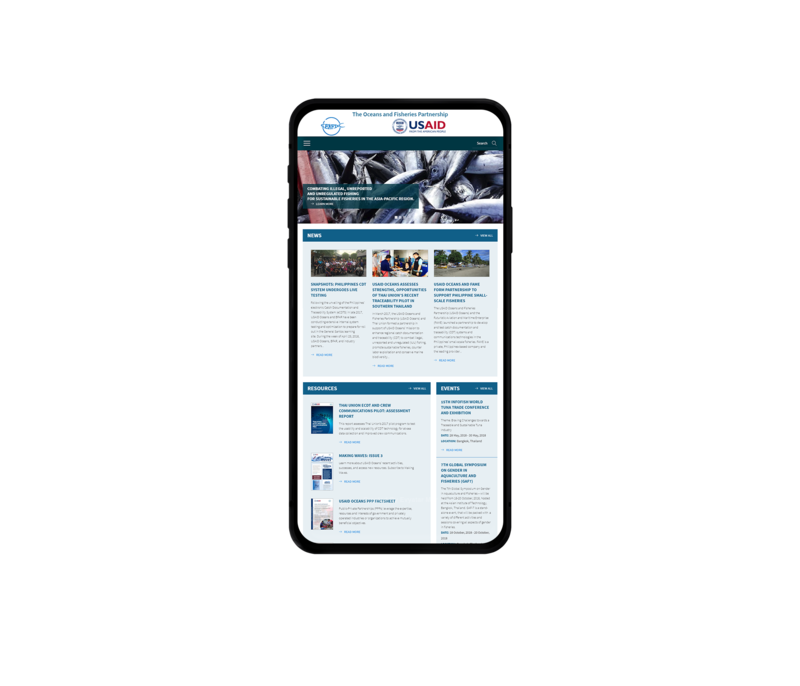 This custom designed and hand-coded website serves as a platform to host resources produced, publish the latest news and events and provide additional information about the project itself.